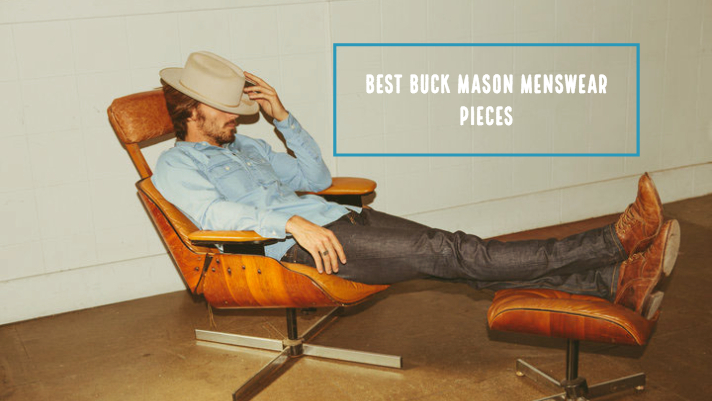 If you're a follower of my blog, you know I'm a huge fan of Buck Mason and their entire menswear collection. Everything from their t-shirts to their sweatshirts and button ups - I own. Granted, I still need to get my hands on a few pieces but I think I've gotten the general idea of how they operate: Quality, well-made menswear pieces at an agreeable price that are built to last and add a sense of flair to your closet. As I stated in an earlier blog, these shirts are a favorite in my closet. The fit, the weight, the slubbed hem - it's an all around great piece of clothing to own. I've always been on the hunt for a t-shirt long enough for my torso, and the Buck Mason t-shirt is a hit. The one thing people might balk at is the price point. It may be higher than some, but you're getting more craftsmanship, innovation, and quality than most. Do yourself a favor and buy a couple. You'll be glad you did. The softness of these shirts is second-to-none. Built differently than the t-shirts in general, Buck Mason's long sleeve shirt offerings are plentiful and purchases you should seriously consider. They fit a tad larger than a traditional Medium or Large, yet still look great right out of the box. I'd recommend getting the same size for Buck Mason shirts you normally would but prepare for a bit of shrinking across all of their offerings. The henleys by Buck Mason are a staple in my closet, though I rarely wear them. I feel like only a person with a certain kind of build can properly pull off a henley, and I'm just not convinced it's me. Maybe time will tell but we'll have to wait and see. That said, they're a must-have for any menswear and/or workwear fan. The fit is pretty standard if not a little baggy. I think they're meant to be worn more as a baggy shirt anyway but, alas, they look great with any outfit. Perfect for a stroll around the lake or any casual Friday, there isn't much else to say here that hasn't already been said about other Buck Mason pieces. If there is a word to describe Buck Mason sweatshirts it'd be "understated". They're perfect for layering so they won't be the best in the dead of winter. That said, in early Spring or at all during the fall, they are some of the best pieces to own. They're perfect with something light like the Taylor Stitch Rover Jacket, a windbreaker, or even your favorite sports coat. They can be dressed-up for a casual Friday or worn to run errands on the weekend. The fit is a bit large as I bought Large's in my collection and they almost feel like a size between Large and Extra Large. That said, when washed they'll shrink a tad which is nice if you're going for a cleaner look. Finally, one of my favorite things Buck Mason creates is their button ups. Though a bit slimmer fitting than I'm used to, I quickly came around to their fit and their feel. The only things that come to mind in terms of something being wrong with them are the occasional fraying that happens to the button holes. Not a huge drawback, as the Buck Mason Button-Ups are built well and built to last, but just one thing you should be aware of. For these, I order my typical size Medium and they still fit just fine. I'm 5'11, 185 to give you an idea of what size to order depending on your body type. In fact, I only order Large's in the t-shirts - everything else from Buck Mason I order is in the size Medium. I donate $10 to the ASPCA per new subscriber each month. We respect your privacy. Unsubscribe at any time. I won't sell your e-mail addresses unless someone offers a really really sweet deal. To which I will kindly tell them to "take a hike". Shoot me a personal e-mail and lets chat!